Here comes the latest TC Box Mod—DEJAVU DJV D7 Touch Screen TC Box MOD in DJV series. 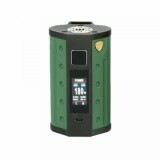 The DEJAVU DJV D7 TC BOX MOD is designed by the inspiration of Rifle arms and weapons. It is also designed in an ergonomic way, using the military grade abrasive blasting material and polymer Asmodus GX180. Equipped with UTC touchscreen chip, DEJAVU DJV D7 MOD will bring you convenience to operate. 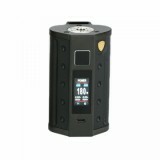 Powered by dual 18650 batteries, it can easily fire up to max output power of 180W, and bring you a great flavor for vaping. Powerful and beautiful enough. 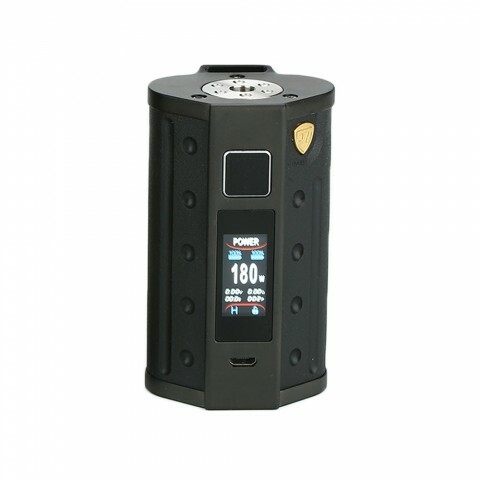 Come and get one DEJAVU DJV D7 Touch Screen TC Box MOD and Start to enjoy you DJV D7 vaping. • 18650 battery is not included, you can buy batteries in BuyBest. 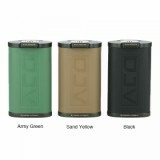 • You may have interest in other Box MODs.